Posted in: Illinois, Sports. Tagged: White Sox. 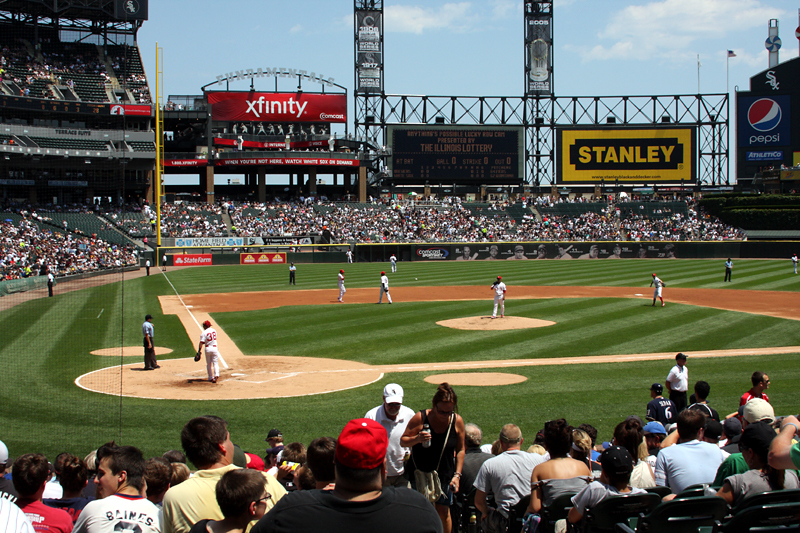 On Sunday, June 24th we went to a White Sox game thanks to someone Joe knows through work. We had fabulous seats – only 18 rows from the field near home plate, plus access to their Stadium Club which was an interesting experience.